Allergies Worsened by Dirty Air in your Home? If you’re keeping a clean home, don’t overlook your ducts. 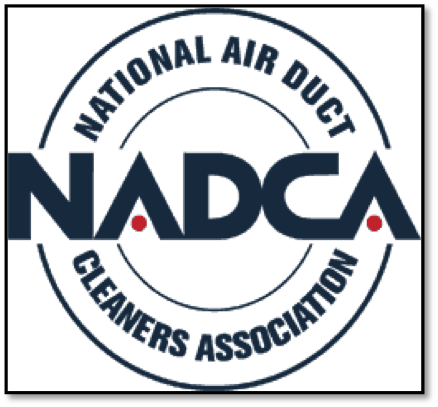 Did you know that there is a National Air Duct Cleaners Association (NADCA)? They set standards for companies qualified to service your heating and cooling systems including those focused on cleaning ducts to improve the quality of air in your home. Service providers like Mr Duct Cleaning, who have the required talent and state-of-the-art cleaning and maintenance equipment to remediate common problems in air ducts, are certified by NADCA. Wondering why cleaning your ducts is so important if you’ve never even heard of it? Let’s put it this way: NADCA reports, “In a typical six-room home, up to 40 pounds of dust is created annually through every day living. Your heating and cooling system is the lungs of your home. The system takes air in and breathes air out.” If your heating and cooling system re-circulates contaminants and air pollutants throughout your home 5-7 times per day, that’s a lot of undesirable and potentially harmful exposure to conditions including mold spores, dust, chemicals, bacteria, fungus, pet dander and pollen. Speaking of pollen… In Melbourne, the pollen forecast for mid-October is “VERY HIGH.” Indoor particle concentrations can be even higher than outdoor levels, and air ducts are a prime breeding ground for allergens as well as other airborne contaminants. Consider contacting Mr Duct Cleaning to have your entire duct work and air system scrubbed clean, so that you can breathe better. If you’re noticing discomfort from dust and allergens in your workplace, ask your company to invite Mr Duct Cleaning in to remedy that situation.